Stylish and durable, the Compass freestanding unit has an attractive design that fits perfectly into any contemporary bathroom. 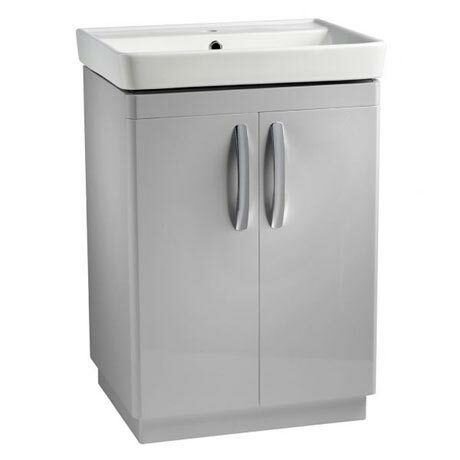 The unit features chunky soft closing doors with smooth curved chrome handles. The ceramic basin has a large bowl giving ample washing space and comes with a single tap hole and overflow. Tavistock offer a 10 year guarantee on all of their furniture range.